McGill University is a large institution, and underneath the McGill Senate, there are many University-level Committees. This is where planning, discussions, and consultations take place for various issues concerning various bodies in the University. This is also usually where the SSMU Senators, as well as undergraduate students like you, can start advocacy projects and initiatives. 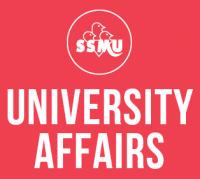 Every semester, the SSMU collects and compiles reports from all undergraduate reps in committees to inform the McGill community of the new initiatives. Click below to read the reports. Near the end of every academic year and throughout the summer, we do open call-outs to the whole student body to fill undergraduate representative positions on many committees for the following year. All currently active committees with undergraduate representation are listed and described below, including the names and email addresses of the current undergraduate representatives on every committee. Click the names of the committees for more information about their scope of work. Feel free to email the representatives with any comments, suggestions, or ideas related to the scope of the committee they sit in. The APC is a Standing Committee of Senate charged with making recommendations to Senate on all matters regarding academic policy. In particular, it shall, for the University and in consultation with faculties, develop proposals for the establishment and continuous review of academic programs, policies and structures, and proposals relating to teaching, learning, and research. The STL is a subcommittee of the APC tasked with recommending initiatives and/or policies to enhance the quality of teaching and learning, as well as maintaining regular communication with the Faculties (through its Faculty representatives) on matters relating to teaching and learning. It reports to Senate through APC once a year. The TLSWG sets a vision for improving classroom spaces for teaching and learning at McGill. Its mandate is to create a vision for teaching and learning space development with standards based on sound pedagogical and technical principles, identify teaching and learning space needs at the University, establish priorities for upgrading and repairing teaching spaces that can be funded, ensure that existing and new teaching spaces respect the standard, investigate new teaching technologies, set priorities and recommend funding for the creation of new teaching spaces or the upgrade of existing teaching spaces. It is affiliated with the Teaching and Learning Services (TLS). Modeled upon the TLSWG above, the TLTWG will oversee the purchase of software for teaching and learning purposes across the University. Its main goals include shepherding funds that are currently allocated centrally for the purchase of software tools used for teaching and learning purposes, creating an inventory of all tools currently used for teaching and learning purposes in order to identify opportunities for economy of scale purchases, and advising on institutional support and policies related to the use of free cloud-based software paying particular attention to issues around intellectual property and the protection of personal data. The UTLWG sets a vision for improving labs for teaching and learning at McGill. Its mandate is to identify needs for teaching laboratories, establish pedagogical and technical principles for the renovation and upgrade of teaching laboratories, establish priorities for improvements (upgrades, repairs) to teaching laboratories across the University (including new teaching laboratories), support the University to benefit from funding opportunities, recommend funding for the creation, upgrade and maintenance of teaching laboratories and related equipment. It is affiliated with the Teaching and Learning Services (TLS). The CEAG works to develop strategies and instruments to increase student participation, to increase the number of instructors participating in the dissemination of results, and to advise on other activities of the Teaching and Learning Services (TLS) related to Mercury and the course evaluation system in general. It is affiliated with the TLS. The SCTP is a subcommittee of APC tasked with exercising all the functions and powers of APC as regards courses, revisions to existing courses teaching programs, and proposals for new teaching programs. It then informs and makes recommendations for the APC in a timely manner. The CESA is a Standing Committee of Senate charged with oversight to enrolment and student affairs matters, and making recommendations to Senate about such matters. This includes policies about course timetabling, student records, academic integrity, student advising and orientation, as well as admission standards and policies of the University. In addition, it reviews and approves new awards/aids and changes to existing awards/aids available for students. The ESAAC discusses and offers advice on issues related to recruitment and admissions, scholarship and student aid, and student affairs broadly speaking. It will make recommendations concerning student records, sessional dates, course and examination timetabling, academic integrity, student advising, student awards and student aid, as well as recruitment and admissions. The SAI is a subcommittee of the ESAAC mandated to initiate and monitor efforts to promote academic integrity at McGill, and to bring recommendations to the ESAAC as required. The SUSA is a subcommittee of the ESAAC mandated to discuss and address undergraduate advising needs and challenges. This includes, monitoring undergraduate advising across the University, advocating for the recognition of academic advisors, and making recommendations for ESAAC regarding undergraduate advising. The SSAP is a subcommittee of the ESAAC mandated to identify policies and procedures that differ across faculties and to assess the rationale for and effects of those differences, to initiate and monitor harmonization efforts regarding Faculty student affairs policies and procedures, to coordinate communications to Faculty Student Affairs Offices regarding Subcommittee decisions, and to evaluate achievement of common policies across faculties. The Honorary Degrees and Convocations Committee is a Standing Committee of Senate. Its mandate is to recommend to Senate outstanding individuals for the conferral of McGill honorary degrees, the highest honour that the University can bestow. It shall also advise on convocations matters as required. The Senate Committee on Libraries is a Standing Committee of Senate charged with making recommendations to Senate about broad policies concerning the Library in support of the University’s strategic plans and academic priorities, reviewing and advising on planning documents and reports as they relate to the Library, and reviewing resource allocation policies as they relate to the Library’s strategic plan. The Senate Nominating Committee is a Standing Committee of Senate charged with recommending to Senate committee membership and committee terms of reference. The SCPD is a Standing Committee of Senate charged with advising on the nature of physical development as it reflects the academic priorities and needs of the University. It also monitors trends in the use of facilities for academic purposes, and makes recommendations or modifications to the University’s Physical Master Plan. The Committee on the Rights of Senate is a Standing Committee of Senate established to investigate and report on complaints of breach of the rights of Senate as set out in Part XIX of the Standing Rules of Procedure, Governing the Proceedings of the Senate of McGill University. The Senate Steering Committee is a Standing Committee of Senate charged with proposing Senate agenda and routine business matters. The CSS is a Standing Committee of Senate that advises the Executive Director of Services for Students on the objectives and priorities relating to Student Services and that receives and reviews reports regarding Student Services. It formulates broad policies with regard to student services, reviews initiatives to enhance the quality of Student Services, and advises the Executive Director of Services for Students on budgetary priorities. The SCIAG aims to enhance student engagement through co-curricular or out-of-classroom learning opportunities that are aligned with the University’s strategic direction, while recommending policies for the Co-Curricular Record (CCR). The JBSCE is a Standing Committee of Senate that shall recommend University policy regarding underrepresented groups, including women, visible minorities, Aboriginal peoples, persons with disabilities and persons of minority sexual orientation or minority gender identity. To this end it shall review the recruitment and status of the under-represented groups at the University and recommend ameliorations to Senate and the Board of Governors. To learn more about Committees Arising Out of University Regulations, visit the McGill Senate Website. The Council on the Charter of Students’ Rights investigates any allegation that the general application of a University rule is in violation of this Charter. A request for investigation may be made by a member of the University (the complainant) or may be referred to the Council by the Committee on Student Grievances. The CSD is a hearing committee which reviews cases of infringement of the Code of Student Conduct and Disciplinary Procedures, and makes decisions based on the evidence presented. The CSG reviews any grievances lodged by students that rights accorded to them under the Charter of Students’ Rights have been infringed by a member of the University, and decides on the appropriate redress. The Appeal Committee for Student Discipline and Grievances deals with appeals regarding decisions made by the CSD or the CSG. The UHSC is an advisory body for the Associate Vice-Principal (University Services) and the Vice-Principal (Administration & Finance) on matters concerning the health and safety of the University community, including standards and policies. It oversees the University’s Internal Responsibility System for health and safety, ensures mechanisms and procedures are in place for systematic hazard identification and their correction, and addresses health and safety issues that cannot be addressed adequately by existing mechanisms, among other things. The SLWG aims to engage the University community; promote and recognize efforts to reduce material, water, and energy consumption while maximizing cost savings; improve safety and accessibility through optimizing operations, training and awareness regarding sustainability practices within labs in the University. The IAWG was established to review McGill’s current program offerings for, research on, and services to First Nations, Inuit and Métis communities. It explores possibilities of how McGill’s offerings and services might be improved and potentially expanded by adopting a University-wide approach, bringing together those who have been steering disparate endeavors. It is affiliated with the Office of the Dean of Students. The Universal Access Capital Projects Working Group solicits, receives, and prioritizes eligible proposals for capital projects to improve access to our buildings and facilities for persons with disabilities. These projects are funded by an annual capital grant from the MESRST. Recommendations will be presented to the Provost for final deliberation and decision. The MWC Advisory Committee deals with the service provision of the McGill Writing Centre. Sustainability Projects Fund (SPF) Working Group (WG) aims to independently ensure the optimal achievement of the SPF mandate. The SPF WG members do so by deliberating constructively based on the SPF Evaluation Criteria and by taking consensus-based decisions on 1) the funding of prospective and ongoing SPF projects as well as on 2) the Governance & Administration (G&A) of the SPF. Decisions and feedback of the WG are provided to prospective and ongoing SPF project teams through official Feedback Letters.